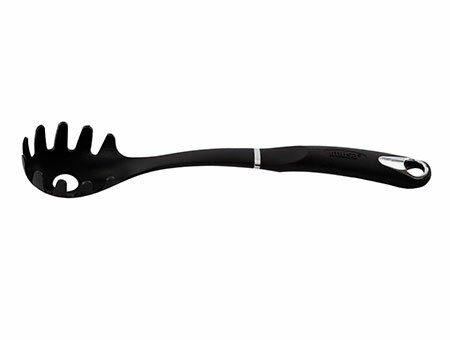 Imusa nylon spaghetti server is an essential cooking tool, used to serve spaghetti, pasta, and other foods with noodles. The bowl-like head with prongs allows you to scoop out food efficiently, while draining away liquids through the slotted area. 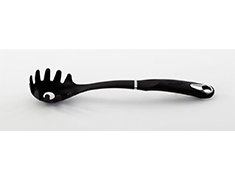 Its nylon construction makes it resistant to high heat and safe for dishwasher use, and the ergonomic soft touch handle provides comfort and control.